The Japan-Korea Students Exchange Seminar was held in November 25-28, 2011, in Seoul, South Korea. The seminar is held every year since 2002 alternately in Japan and South Korea. The seminar is intended to exchange the current situations of university co-ops in Japan and South Korea and resolve problems they are facing. Participants joined tour to co-op stores and shared information on merchandises, members and student committee activities. They also carried out a cultural exchange. On the first day, the opening ceremony was held and Japanese participants are warmly welcomed. The participants visited Ewha Womans University Co-op and Sejong University Co-op, and listened lectures from both co-ops. Ewha Womans University is one of the biggest women’s universities in the world. Ewha Womans University Co-op has approximately 10,000 members. The stores were cute. 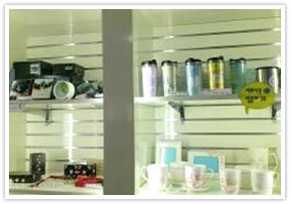 The co-op sells a lot of original items that include cosmetics developed with members. Sejong University is equivalent to a large private university, such as Waseda and Keio University. 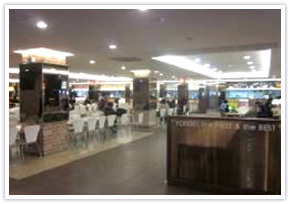 Sejong University Co-op has many cafeterias that serve menu with rich variety. The co-op operates a barber and a shoe repair shop to meet the members' needs. Japanese participants understood that power of student unions is strong and fields that co-ops can do are limited in South Korea. Participants of both countries recognized clearly that they have to promote co-ops and convey their charms. 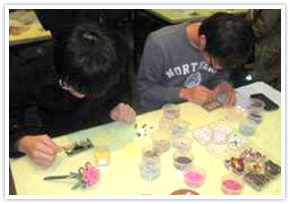 There was a session to make Korean art crafts in the seminar. Participants were eagerly involved in the activity. Japanese participants experienced an over-night stay at a temple and were exposed to Korean culture. 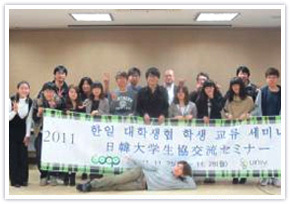 Korean university co-ops have established a national federation in August 2011. They aim to strengthen their organizations and relationships of primary co-ops, and to expand charms of university co-op to universities and students. In correspondence of this, Japanese university co-ops carry out exchanging of businesses and activities, and aim to become organizations that gain more empathy from students. The next seminar will be held in Tokyo, July 2012. NFUCA is working to make it more exciting and meaningful to both parties.